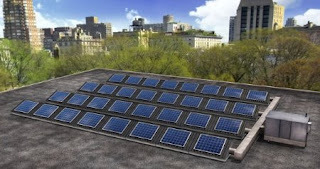 SolarDuct PV/T combines solar photovoltaic and solar thermal in a single roof top unit and are based on the previously developed SolarDucts technology that is used to remove heat from the back of traditional solar panels. Using this technology reduces onsite energy costs because ventilation air is heated before it enters the air handling units. Preserve has a number of wonderful green products some of which have been featured here on The Eco-Modernist previously, but I just had to mention these colorful, recycled plastic colanders too. They're available in Milk White, Berry Blue, Apple Green, and Ripe Tomato and are 3.5 quarts. MAde in the USA, they are dishwasher safe and recyclable (#5) as well. 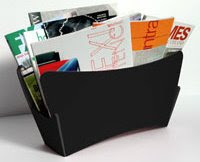 I've been searching high and low for a magazine rack that is both modern and green...and finally found it. Available in black (shown here) and white, Crease in black is made from 100% recycled plastic, a single sheet of polypropylene plastic that's also easy to recycle when you're done with it. Made by Scottish company Blue Marmalade, it arrives in recycled cardboard packaging. 45cm long x 22cm high x 22.5cm deep (18x9x8.5in). 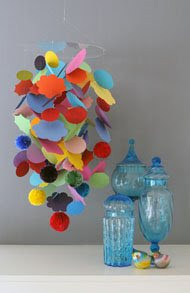 These beautiful handmade mobiles for adults and children from Portland-based Frazier & Wing are made from wood, vintage and found objects and other bits and bob as artist Heather Frazier notes in her Unique Mobiles Collection. 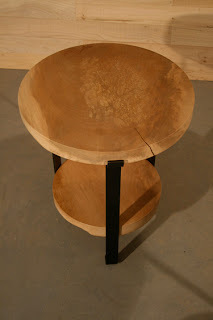 Seattle-based Meyer Wells designs and builds furniture from reclaimed urban trees--otherwise known as tree salvage--but in the urban, not forest landscape. The furniture line ranges from end tables like the one shown here to coffee and dining tables and screens and wall dividers. Their furniture finishes are environmentally responsible as well.